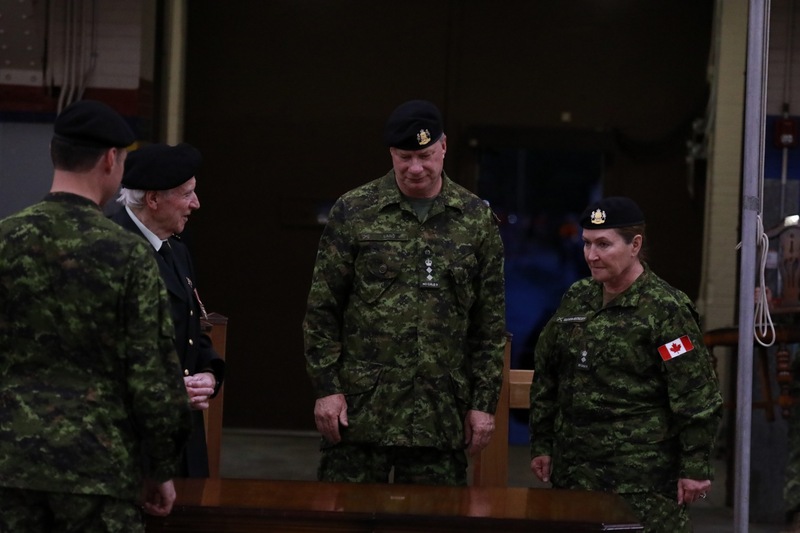 On 30th May 2018, we are excited and proud to welcome our new Honourary Lieutenant Colonel, HLCol Linda Southern-Heathcott to the King’s Own Calgary regimental family. 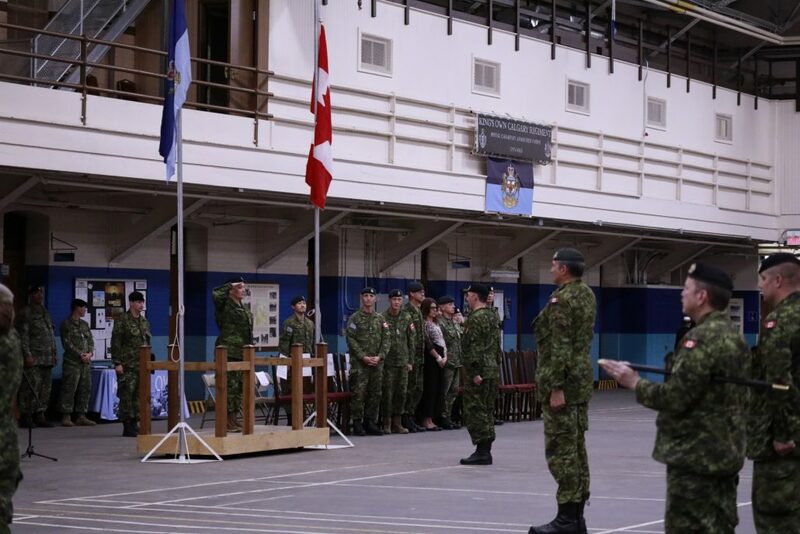 She will be replacing Honourary LCol Michael Lang. 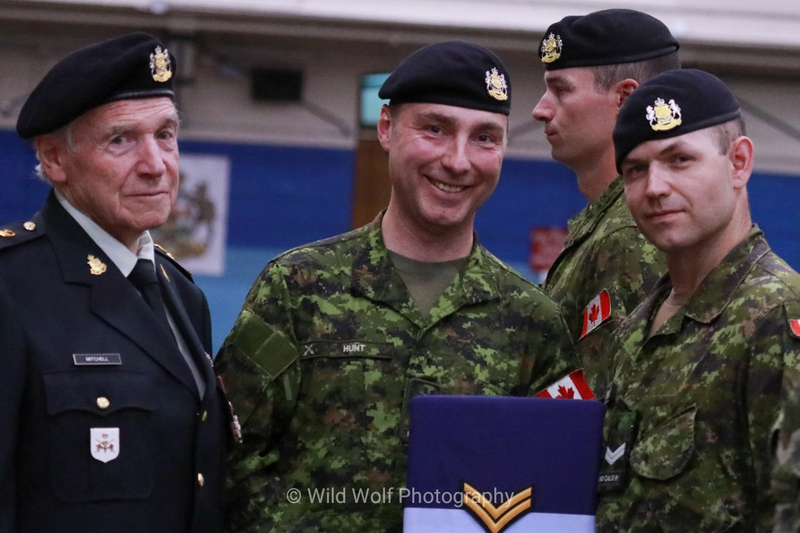 Honourary LCol Lang was presented with a regimental pennant and will be rejoining the King’s Own Calgary Regiment in the near future. 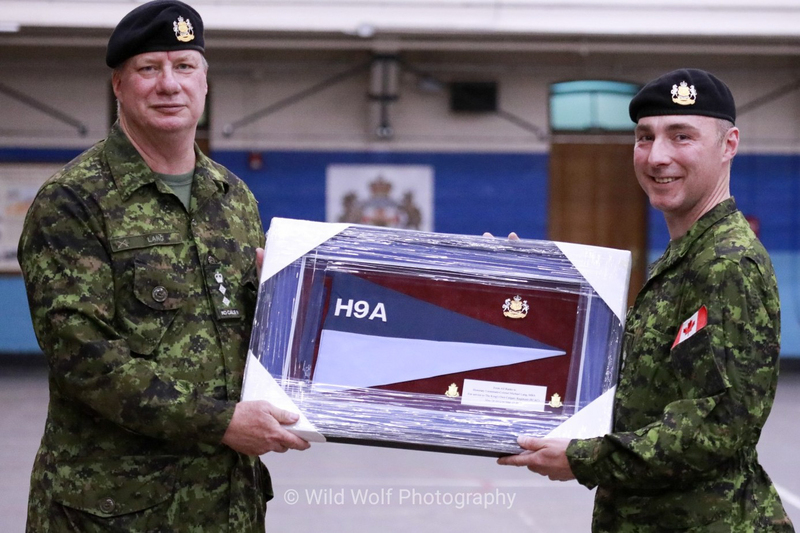 Honourary LCol Southern-Heathcott is the CEO and President of Spruce Meadows and has been a firm supporter of military activities and military involvement during Spruce Meadows Events. 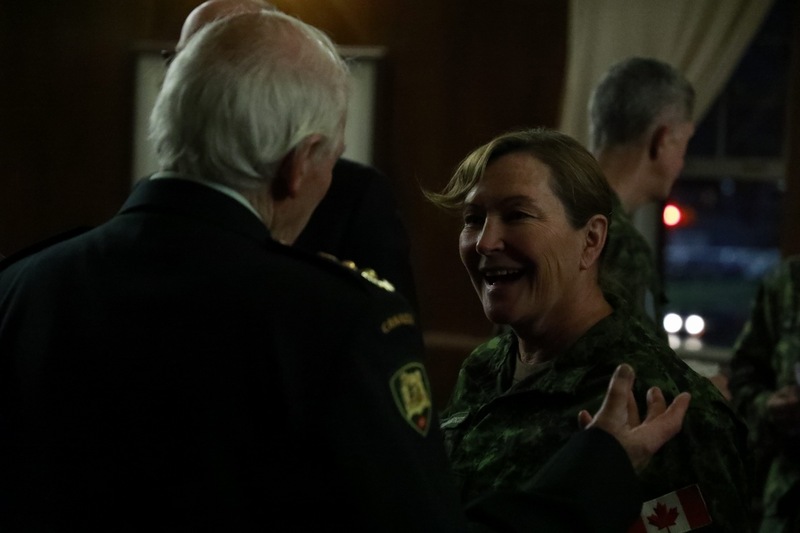 Her family has maintained a great relationship with the Lord Strathcona’s Horse (Royal Canadian), an armoured regular force regiment based in Edmonton. 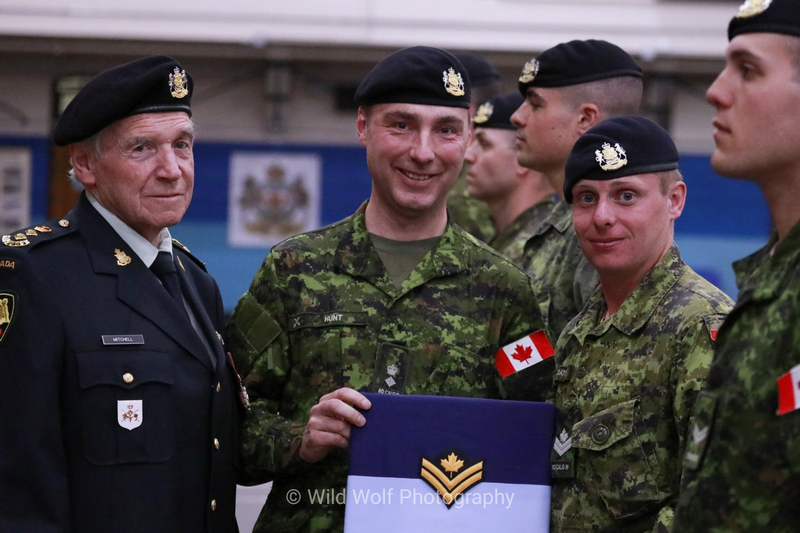 They have supported activities of the Strathcona Mounted Troop for many years and have been host to the various Mounted Troop activities at Spruce Meadows. 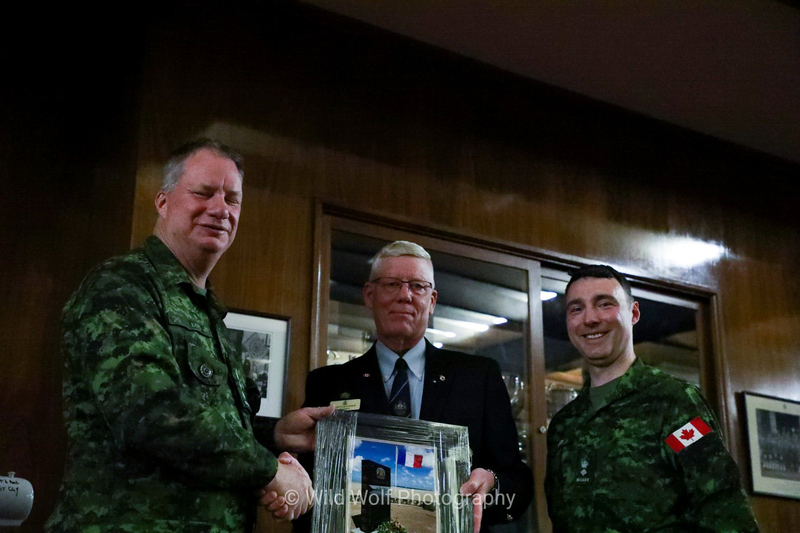 After the regimental parade, a small reception was held at the Officer’s Mess where a few presentations were made. 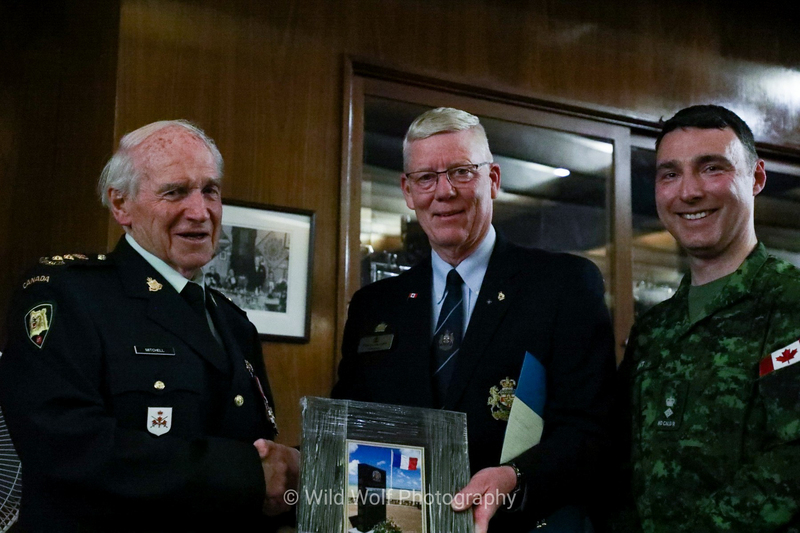 Honourary Colonel Douglas Mitchell and former Honourary Lieutenant Colonel Michael Lang was presented a plaque showing the King’s Own Calgary Dieppe War memorial that was erected in 2017, during the 75th Anniversary of the Dieppe Raid. 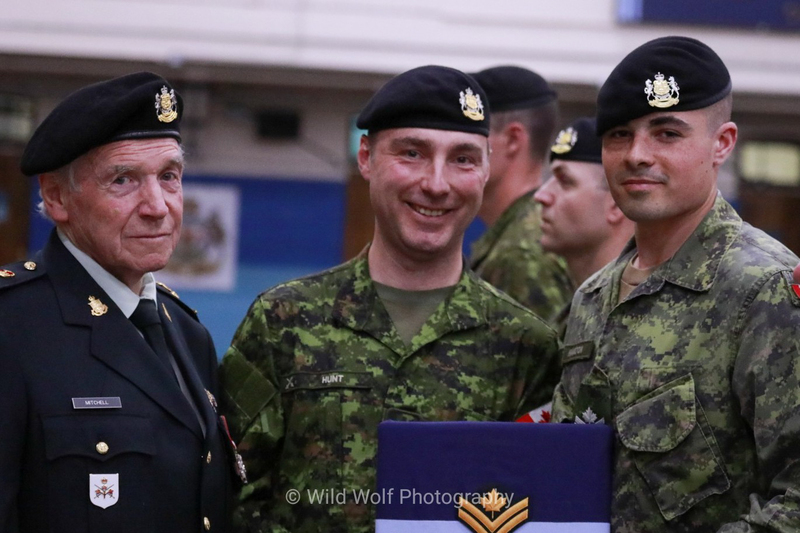 The King’s Own Calgary Regiment are extremely indebted to HCol Mitchell and HLCol Lang for their contributions for the Dieppe battlefield tour and Dieppe War Memorial. 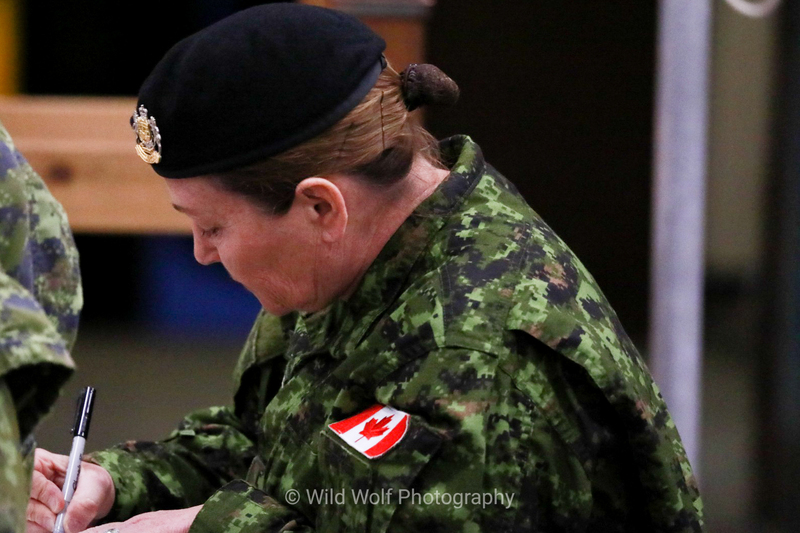 Once again, we are extremely proud that Honourary LCol Linda Southern-Heathcott will be representing the King’s Own Calgary regiment over the years to come and welcome her to our regiment with an abundance of pride. 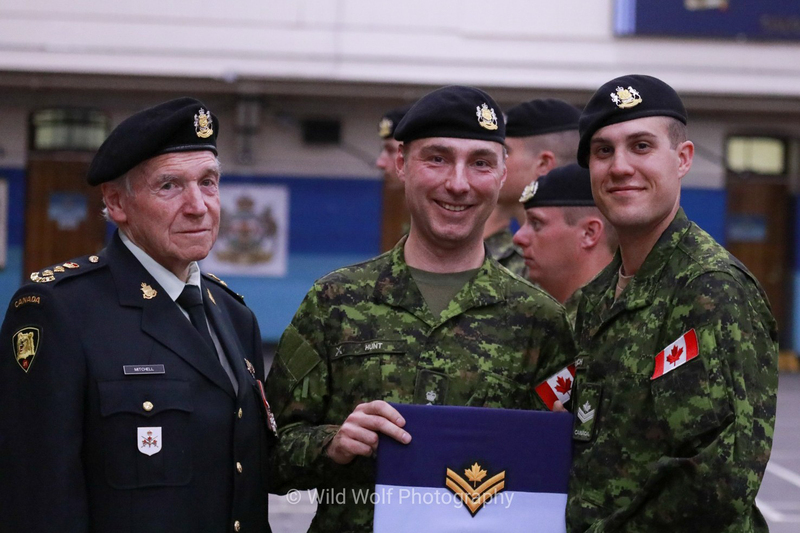 The regimental parade was host to a few promotions as well. We would like to congratulate our newly promoted junior leaders on completing the arduous course of Primary Leadership Qualification. 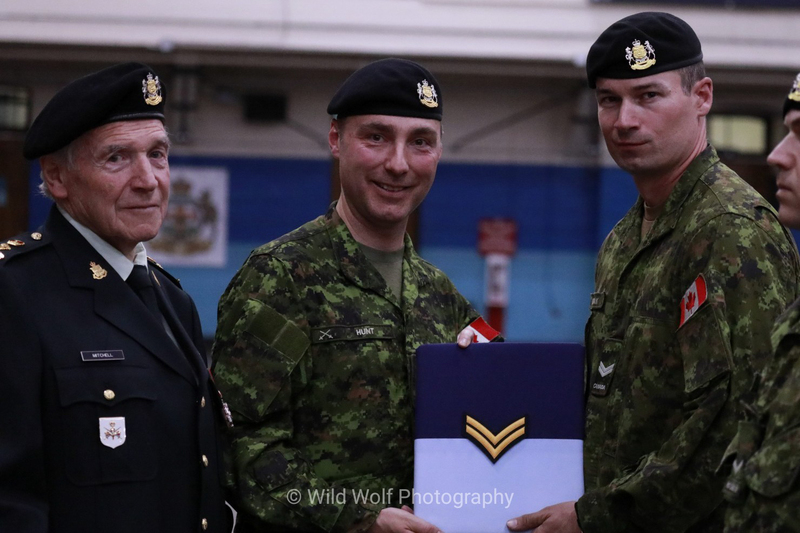 From promotion of Corporal to Master Corporal are Master Corporal Couch, Master Corporal Coates, and Master Corporal Hamilton. For their time served with the unit and for their hard work towards the unit we have promoted from Trooper to Corporal, Corporal Clayards and Corporal Lysak. 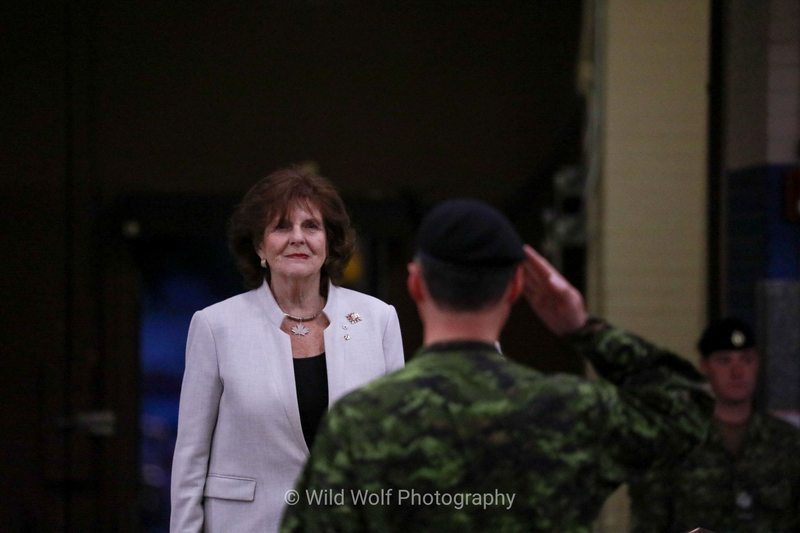 Special Guests in attendance for the change of Honourary Lieutenant Colonel was the Lieutenant Governor of Alberta, her honour, the honourable Lois Mitchell. Commander Third Division, Brigadier-General T.J. Cadieu MSM CD. Nancy Southern, Chair & Chief Executive Officer of ATCO Ltd.